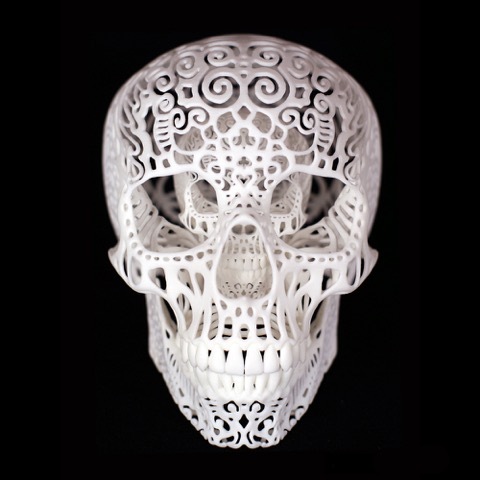 The filigree 3D printed skull became the #1 most funded sculpture project in Kickstarter history and an icon of the 3D printed medium. The piece marks the 1st application of Joshua’s surrealist automatism technique to representational form. It gives a new identity to the shape and invites the viewer to discover the form through the gentle visual lead of the pattern. This has been an exploration in how 2D images and designs can change the interpretation of 3D form and geometry, representing the passing of an era and the ever growing renewal over the ghost of the past.